Super King Market’s Royalty Rewards, gains 350,000 shoppers enrolled in the first 6 months, with AppCard easy to set-up, easy to enroll, item level, personalized marketing platform. Super King Markets, a leading independent grocer in a market highly influenced by national chains, was looking for a data-driven marketing platform that gave them the same capabilities and intelligence as the larger chains, to fit the budget and resources of an independent grocer. Super King sought a solution that provided more than just a loyalty program, but a platform that helped them truly understand customer behavior and help them increase lifetime value. Super King’s leadership knew that introducing a solution that provides real time insights into SKU-level purchase data would become critical as they continue to expand. Additionally, as a high-volume grocer with more than 15 POS lanes per store, it was important for Super King to implement a program with a simple enrollment process to keep their lines moving, with little impact on the cashier’s workflow and customer experience. Super King meets AppCard. AppCard is a fast-growing SaaS retail technology firm, specifically focused on bringing enterprise-level customer insights to independent grocers and other brick and mortar businesses. Super King has been impressed with AppCard’s 3 second enrollment process, which allows them to quickly enroll customers while keeping lines moving. Cashiers simply key in the customer’s mobile number and/or swipe a Royal Rewards card. Once enrolled, customers present their card or provide their mobile number during checkout to earn and redeem rewards on their purchases. If the customer has completed their profile, the cashier can then welcome the customer back by name and acknowledge that it’s been seven days since their last visit. Because AppCard collects all transaction data, whether the customer is enrolled in the Royal Rewards program or not, the management team at Super King has complete visibility into 100% of transactions in real-time. 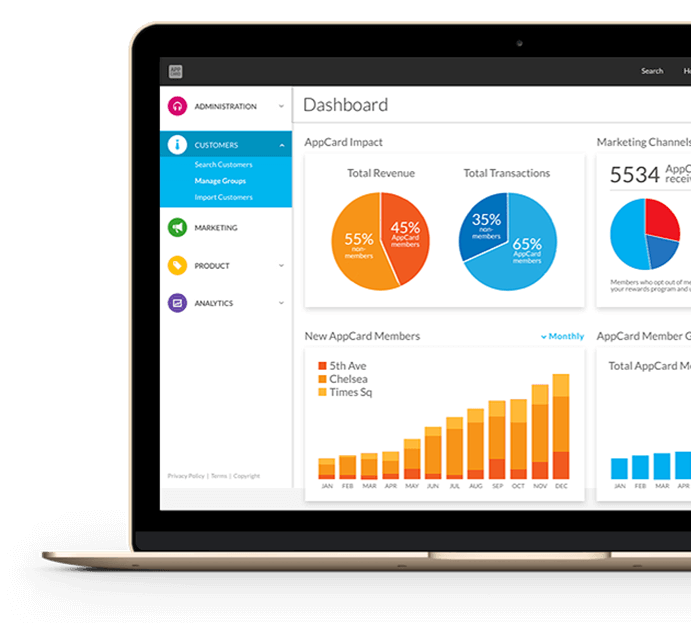 AppCard makes this information consumable by presenting it in an easy-to-read dashboard with over 100 actionable reports. With AppCard’s reporting capabilities, management has a better understanding of what their customers buy, when they buy it, and how often they visit each location. Super King is able to drill down to view sales, employee performance, and customer reports at any of their locations in real-time. Super King now has the ability to strategically segment their customers and deliver personalized offers to change shopping behavior and increase customer lifetime value (LTV). Super King leverages three types of campaigns to deliver personalized offers to customers based on their purchase behavior: Automatically triggered campaigns, Artificial Intelligence (AI) and machine learning based campaigns, and custom promotional campaigns. Combined, they’ve developed a well rounded, personalized marketing program that rivals those of the largest chains in the industry. Super King now has the ability to strategically segment their customers and deliver personalized offers to change shopping behavior and increase customer lifetime value (LTV). Super King leverages three types of campaigns to deliver personalized offers to customers based on their purchase behavior: Automatically triggered campaigns, Artificial Intelligence (AI) and machine learning based campaigns, and custom promotional campaigns. Combined, they’ve developed a well-rounded marketing program that rivals those of the largest chains in the industry. 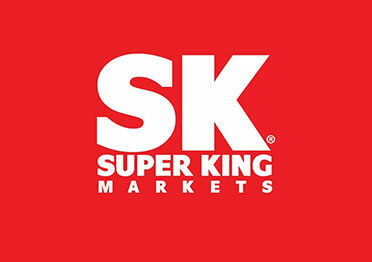 As an independent retailer, Super King doesn’t have a very large marketing team, and they certainly don’t have full time data scientists and analysts on staff. AppCard is more than just a technology platform, it’s a full service extension of the Super King team. A Success Manager, Data Scientist, and Graphic Designer are dedicated to support Super King’s initiatives. The AppCard team works closely with Super King’s management to truly understand their brand, customers, employees, and most importantly, the goals and KPIs of the business. Super King customers have embraced the Royal Rewards program with more than 1,000,000 customers enrolled to date, representing about 54% of transactions and 70% of revenue. With strategic campaigns designed to increase purchase frequency and recency, as well as increasing customer stability and profitability, Super King’s Royal Rewards members spend an average of $20 more than non-members per transaction. Super King buyers have also started to utilize insights provided in the AppCard dashboard to optimize high margin product sourcing decisions. Super King management is able to use product insights to create look‐alike campaigns. One such campaign, offering double points for buying selected items, resulted in an increase of $100,000 in revenue.